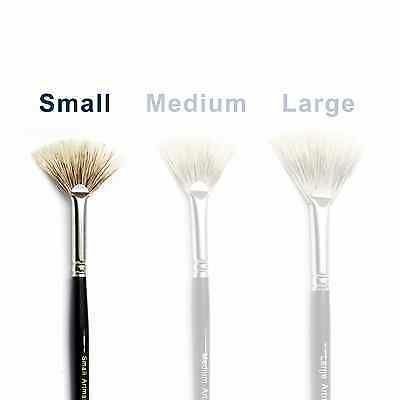 The Artmaster Fan Brush is made from bristle for use with oil or acrylic. 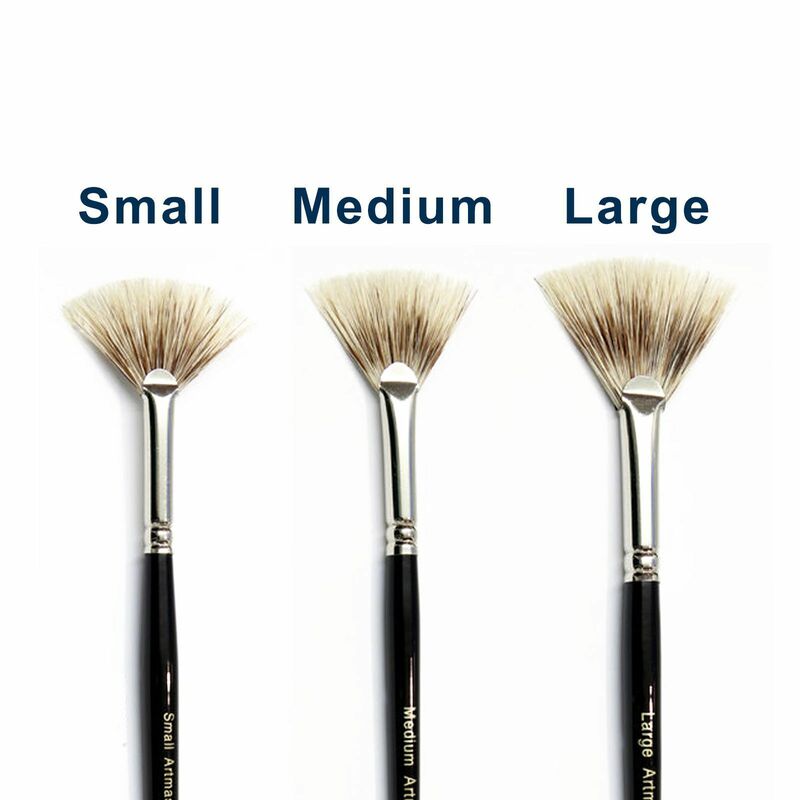 A useful brush for blending and may be helpful to artists for skies and landscape painting. Also useful with watercolours for painting trees, conifers, palms, grasses and reeds. Available in small, medium or large size.